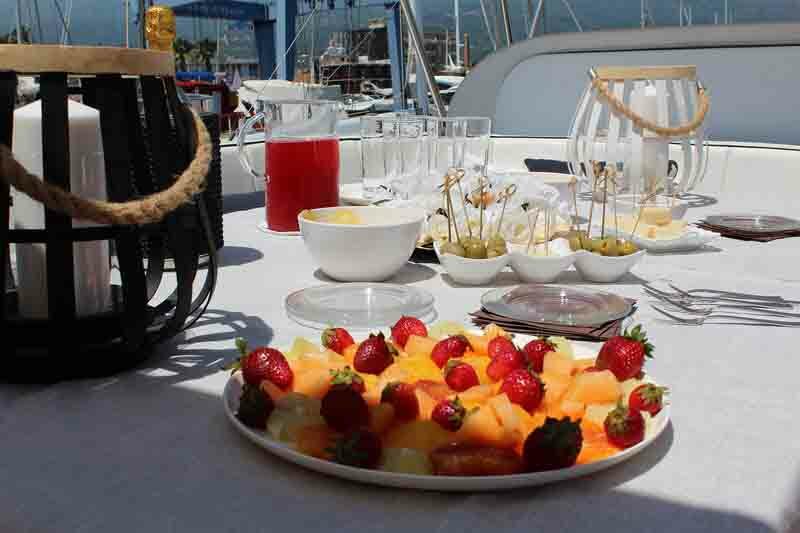 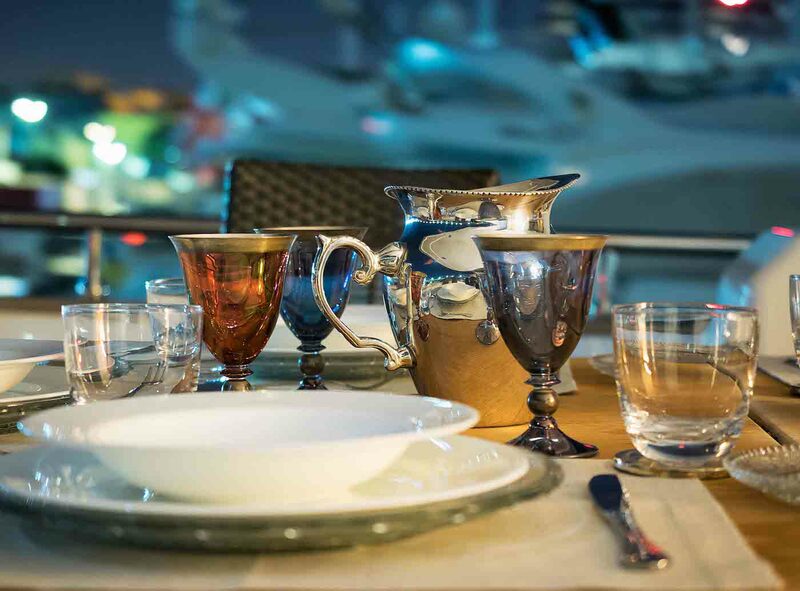 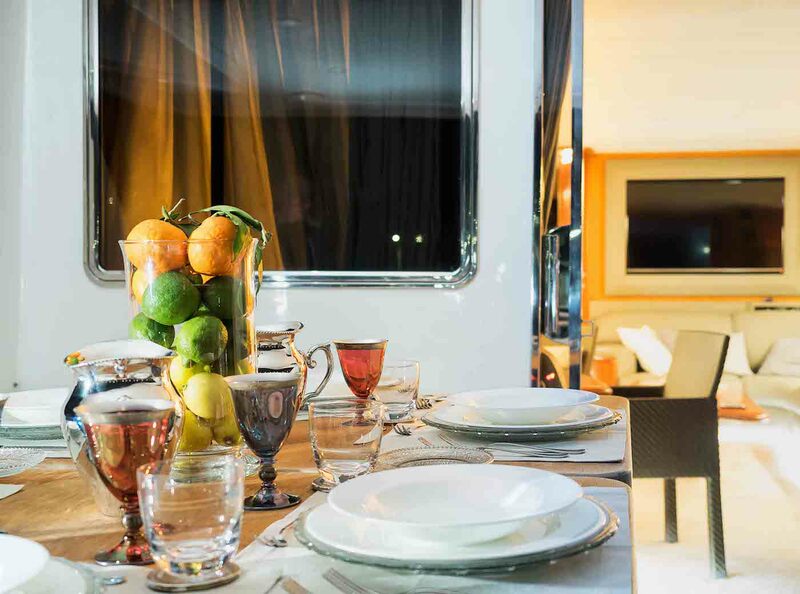 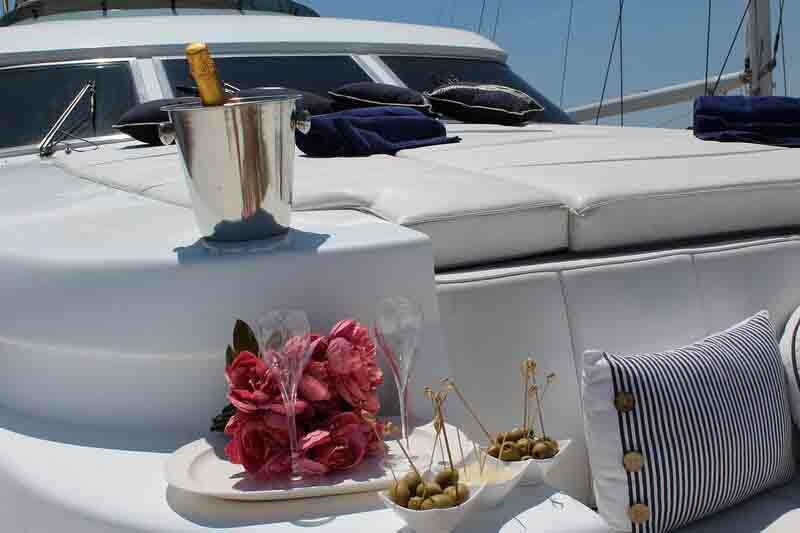 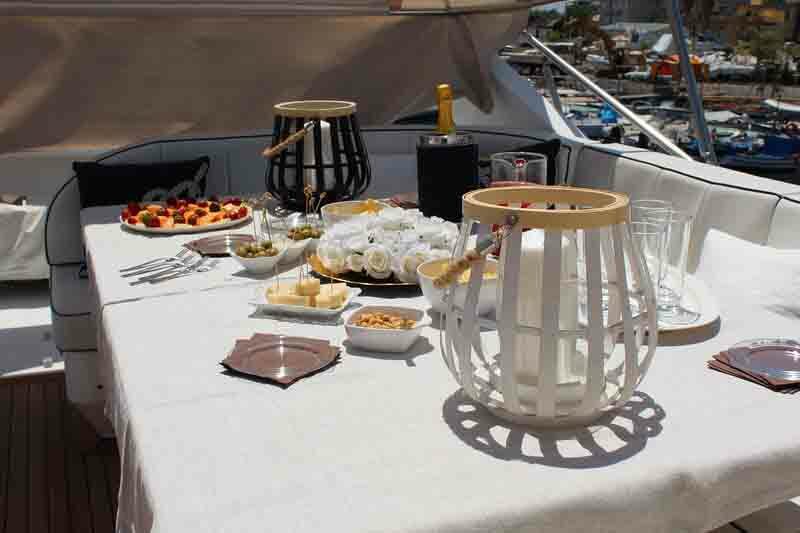 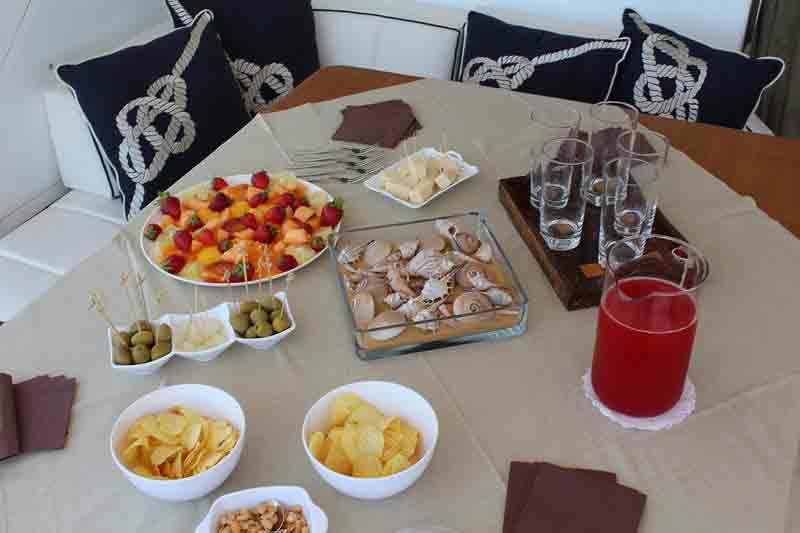 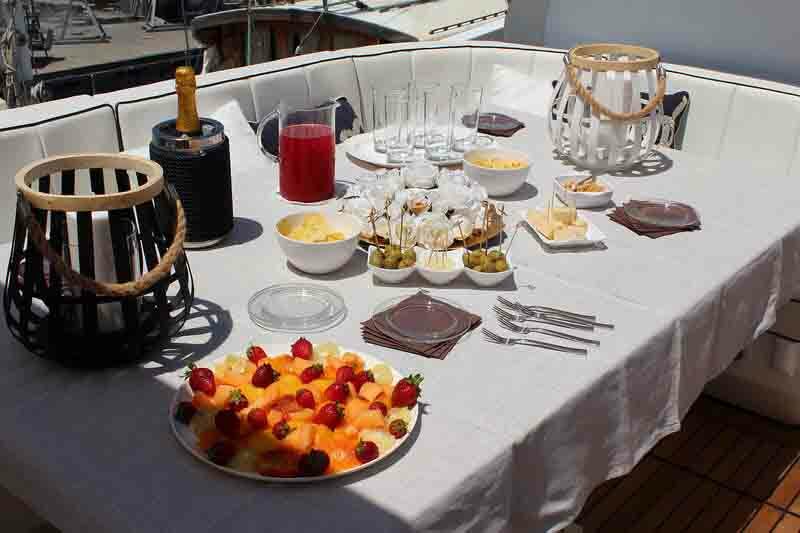 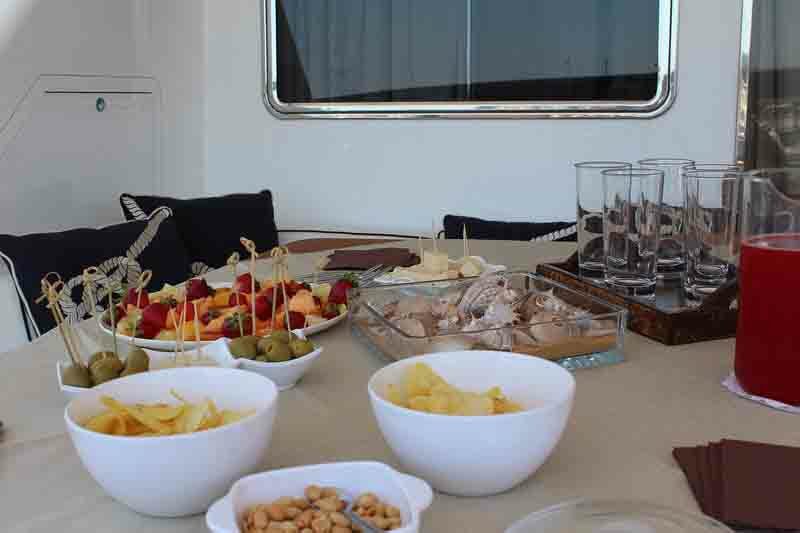 The main deck aft hosts a large alfresco dining table with six chairs for all guests to dine comfortably together. 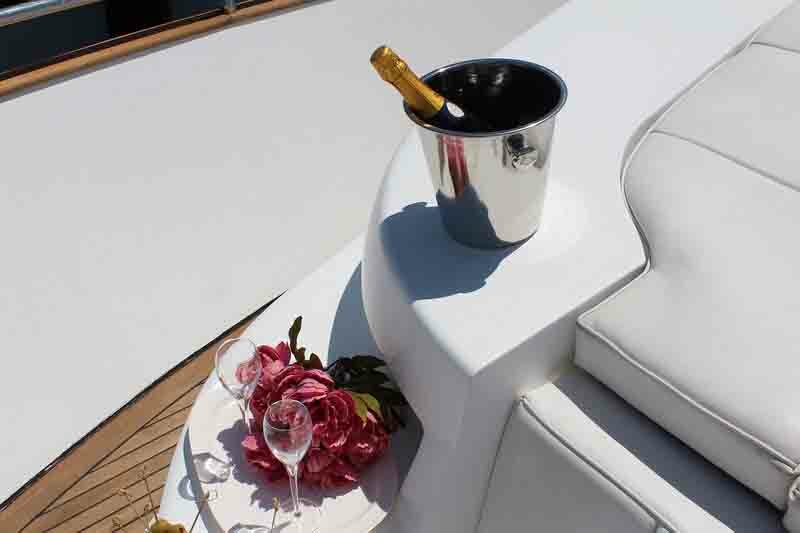 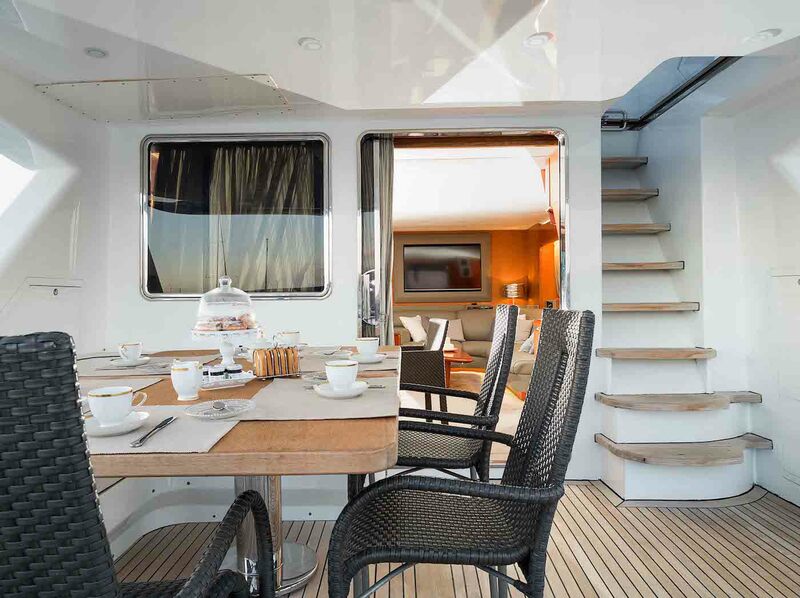 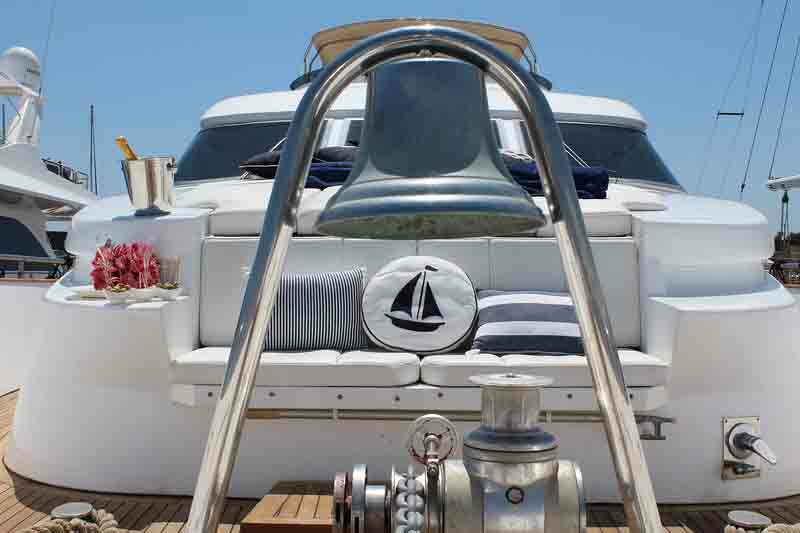 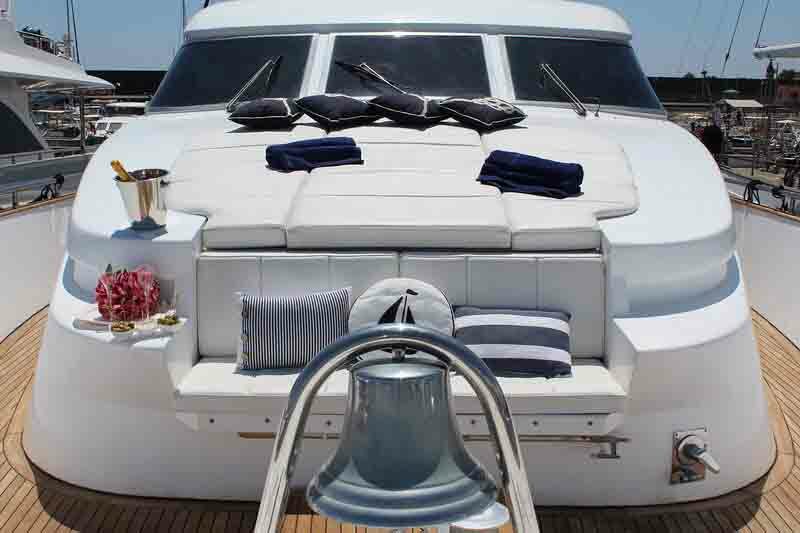 On the foredeck, there is a love-seat for guests to take in the sunset and enjoy each other's company, while behind a wide sun pad covers the section in front of the helm station. 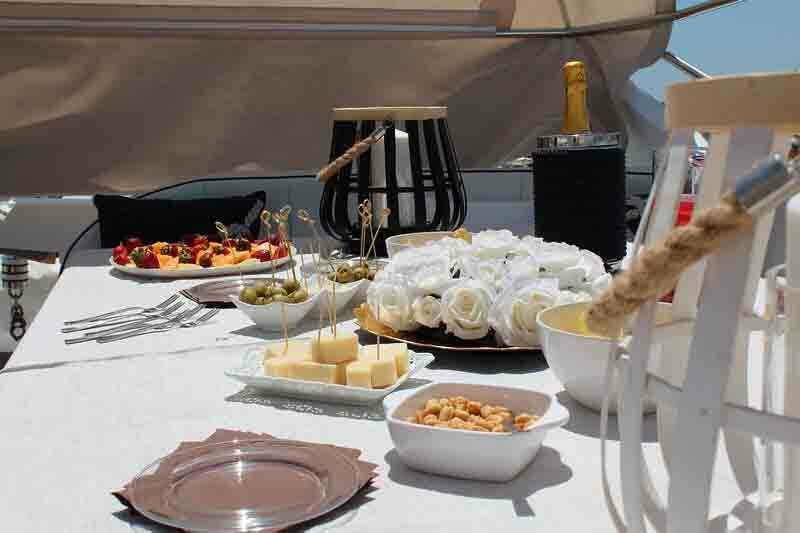 On the sundeck, guests have a choice of shaded sun pads or seating for an alfresco meal taking in the sweeping views of their destination. 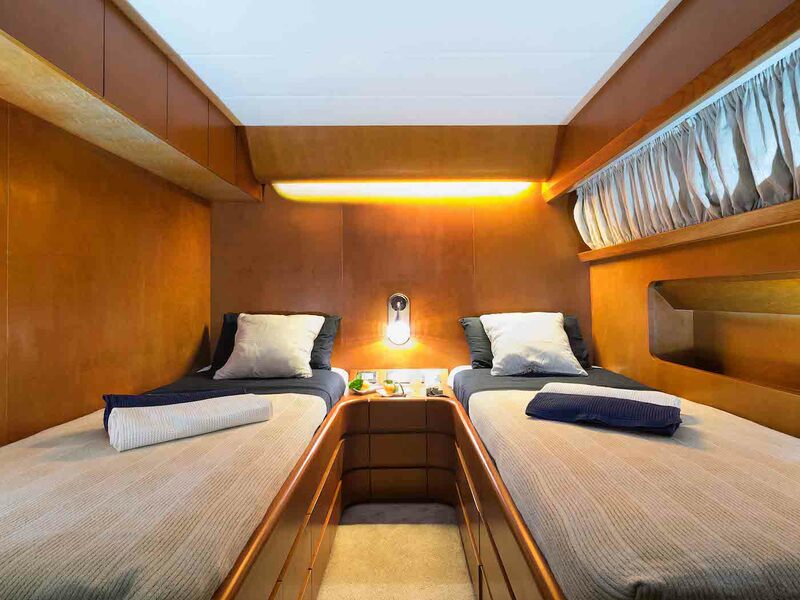 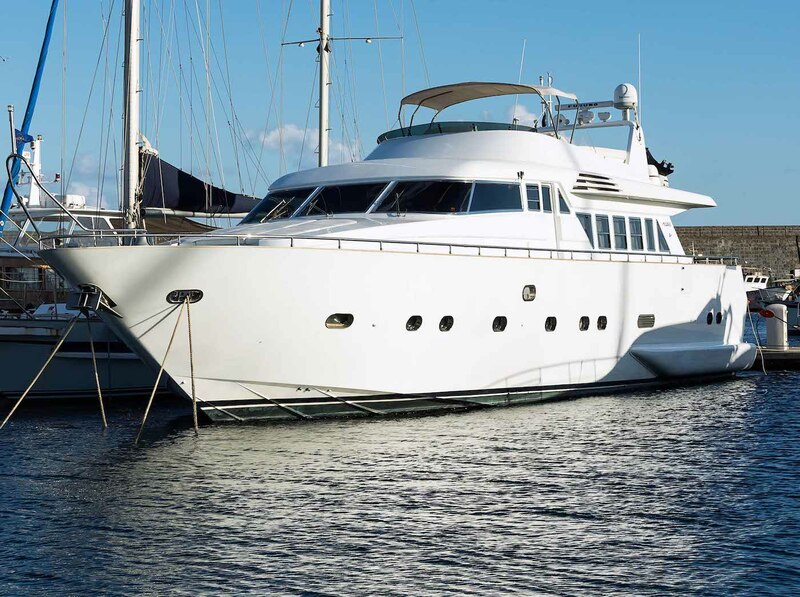 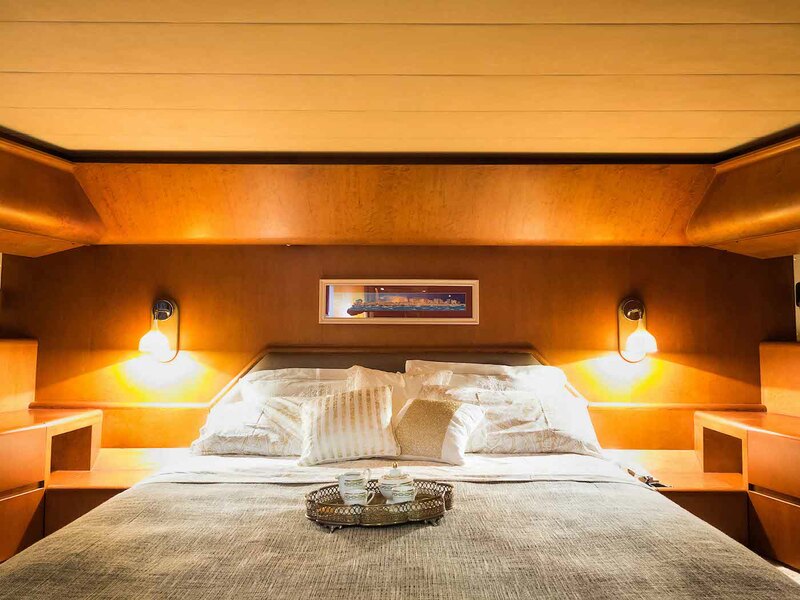 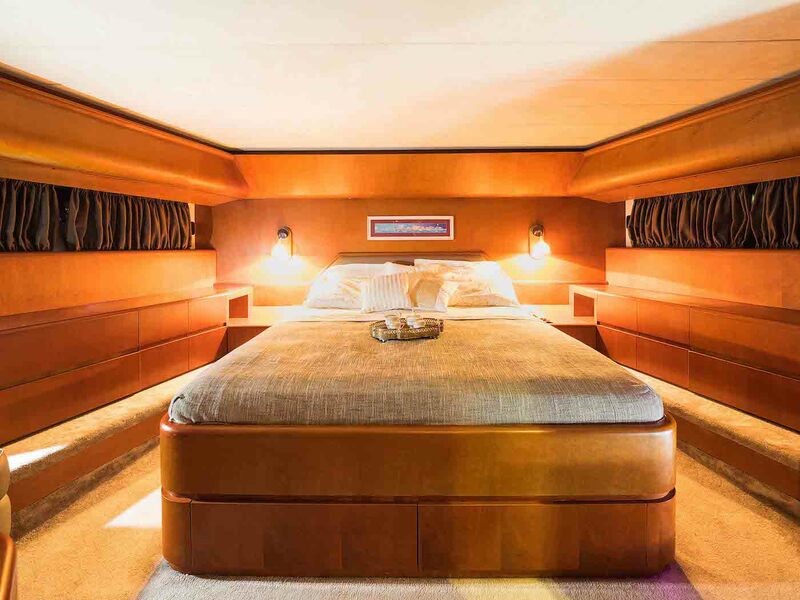 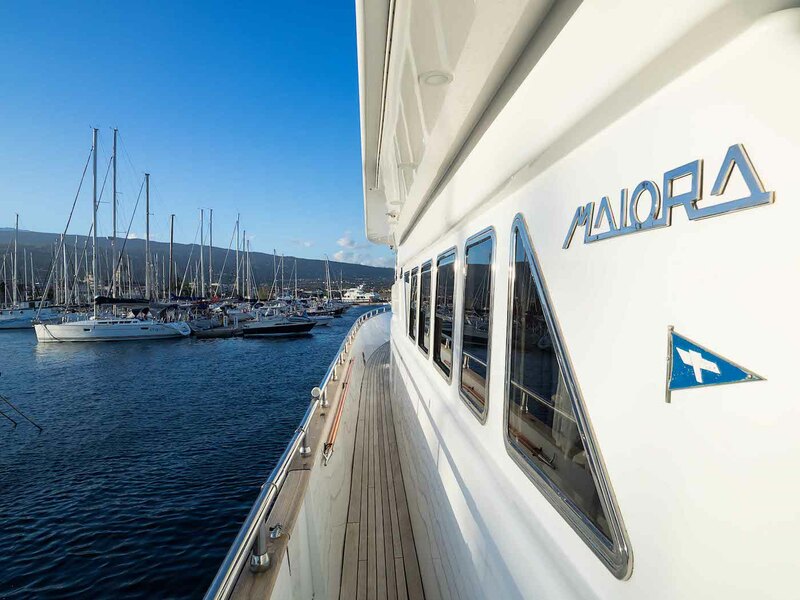 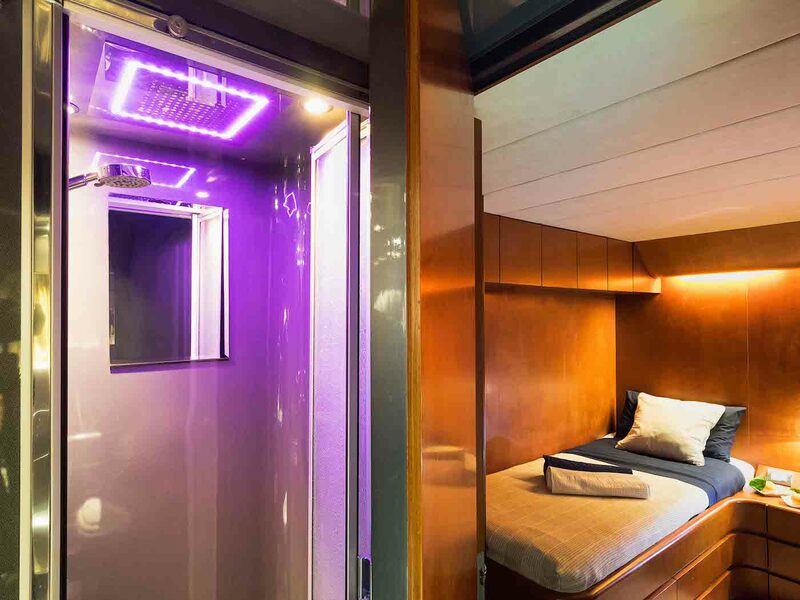 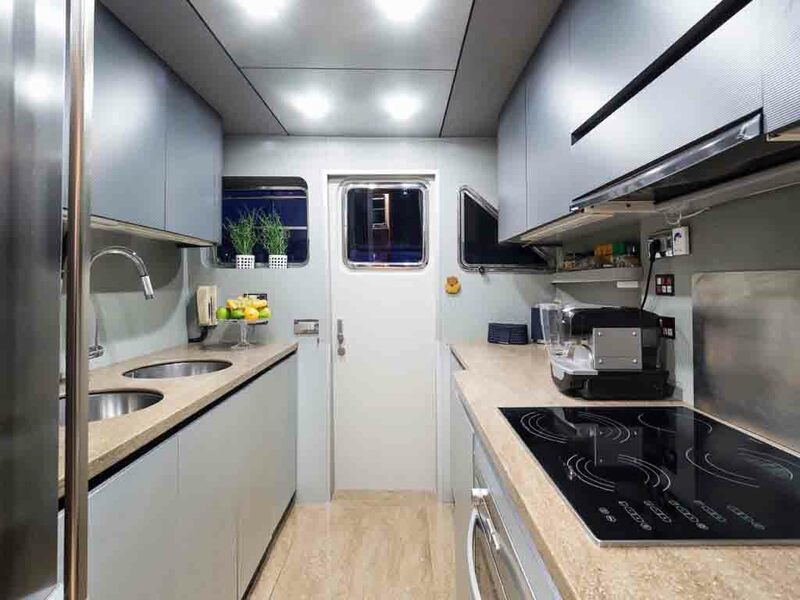 The lower deck contains the crew accommodation and the guest accommodation, which consists of a Master suite and two twin cabins all with en-suite facilities. 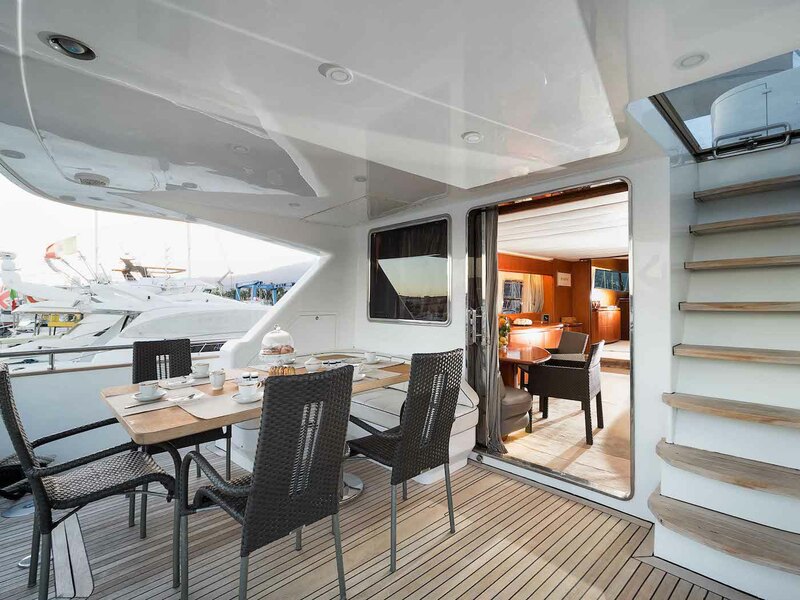 On the main deck, the spacious open-plan interior places an L-shaped sofa on the starboard side with a widescreen TV on the forward wall. 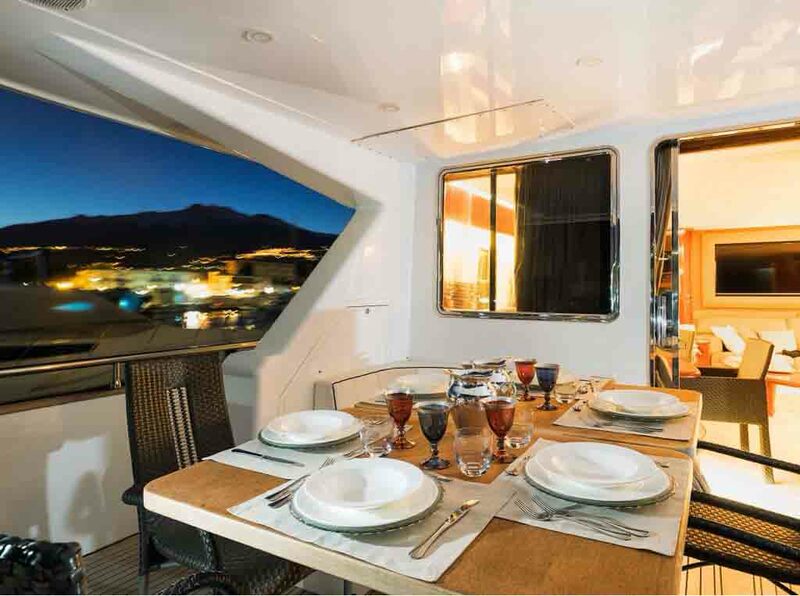 Near the aft glass sliding doors there is an L-shaped sofa on the opposite wall with a raised table ideal for meals and spreading out with personal effects. 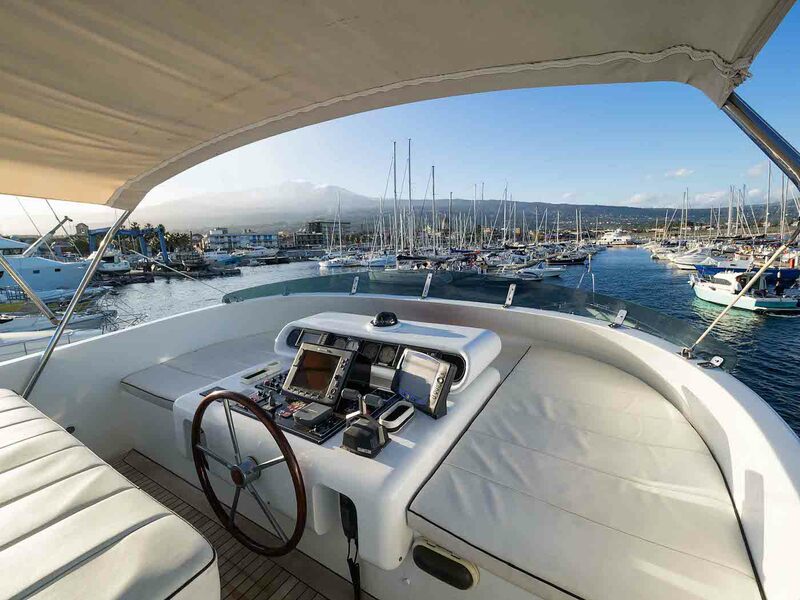 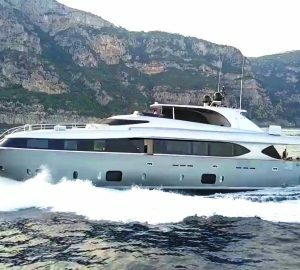 A pair of engines capable of 1080 HP each provides a cruising speed of 16 knots, a top speed of 22 knots. 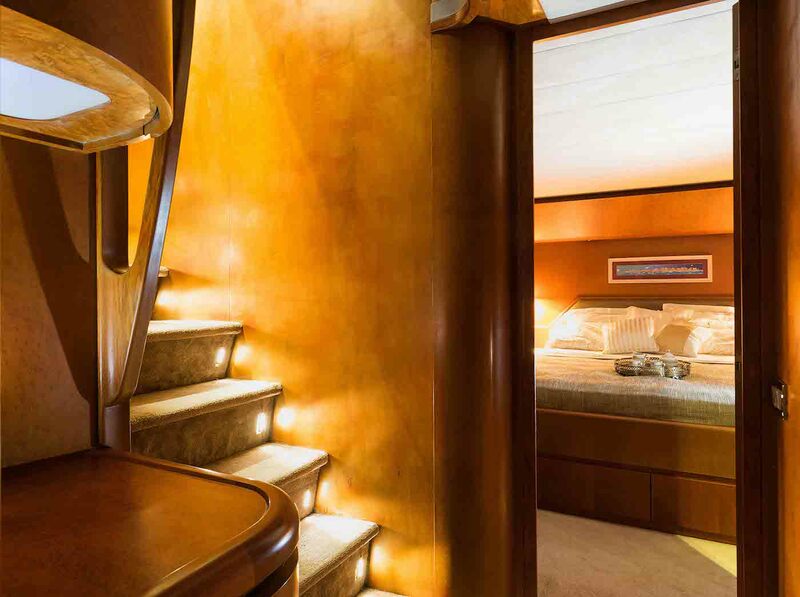 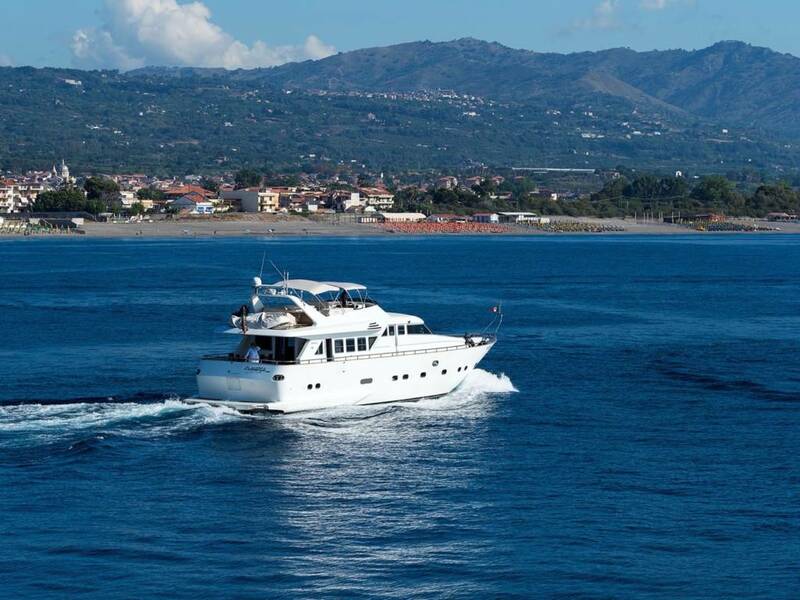 Up to 6 guests will find accommodation over 3 en-suite cabins: 1 Master suite and two twin cabins. 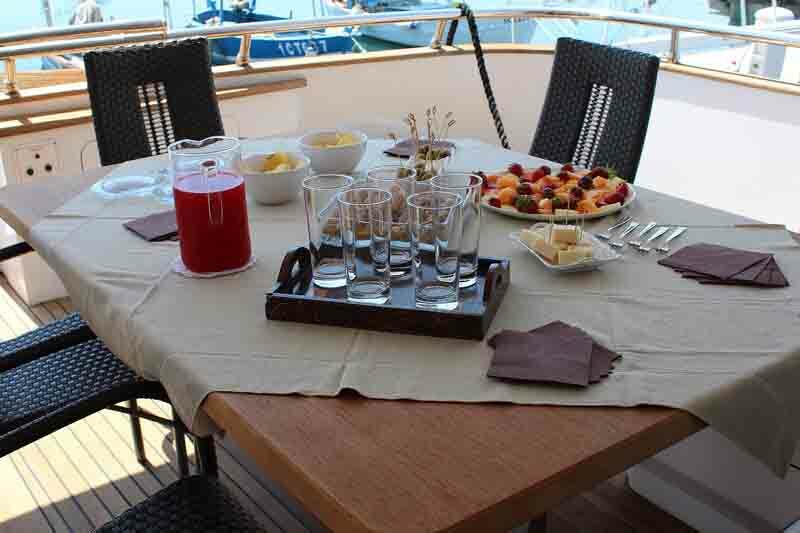 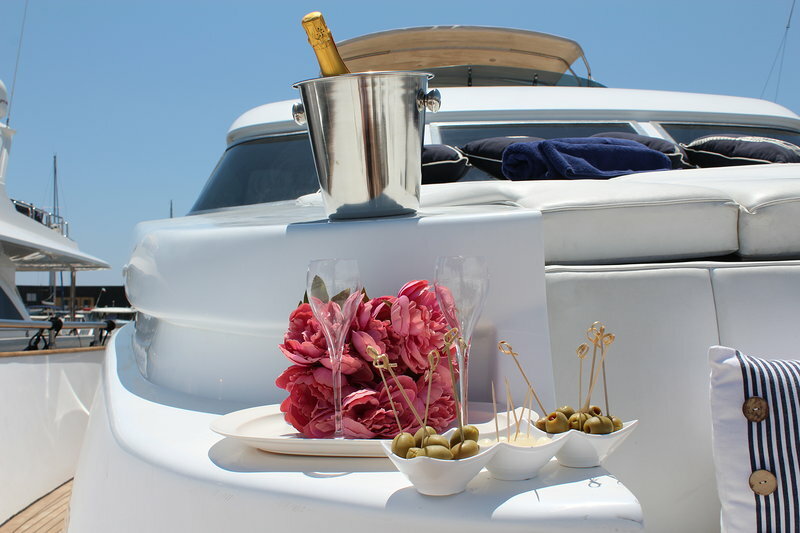 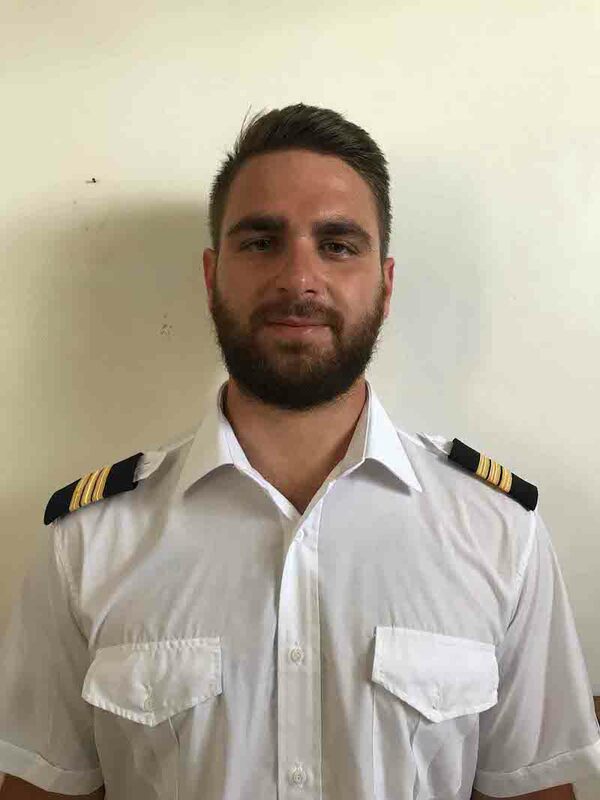 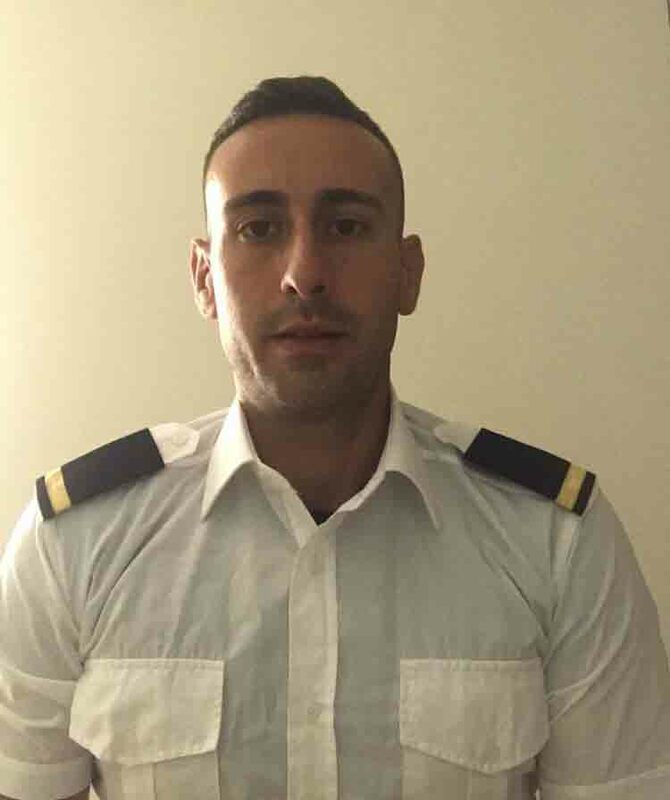 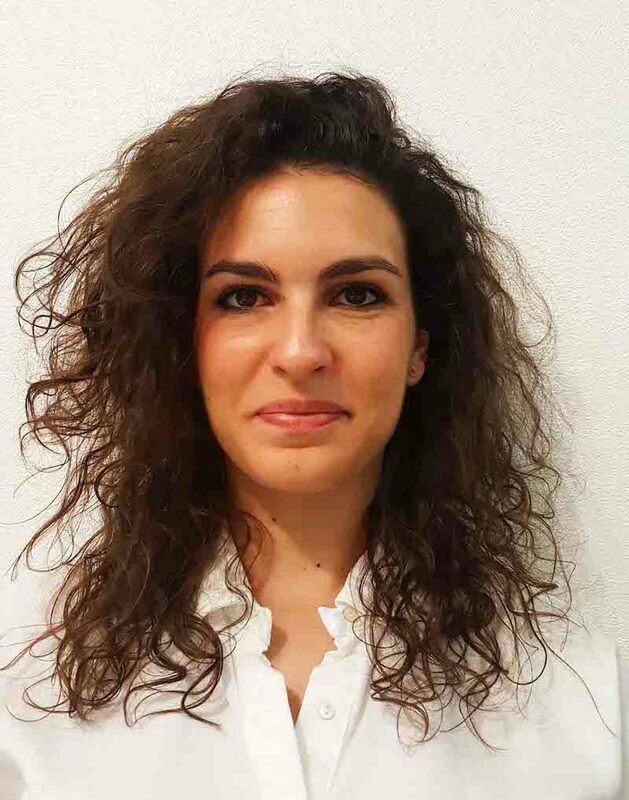 The crew of 3 will ensure that all guests are well looked after throughout their stay.